4 Bedroom Semi Detached House For Sale in Hemel Hempstead for Guide Price £900,000. 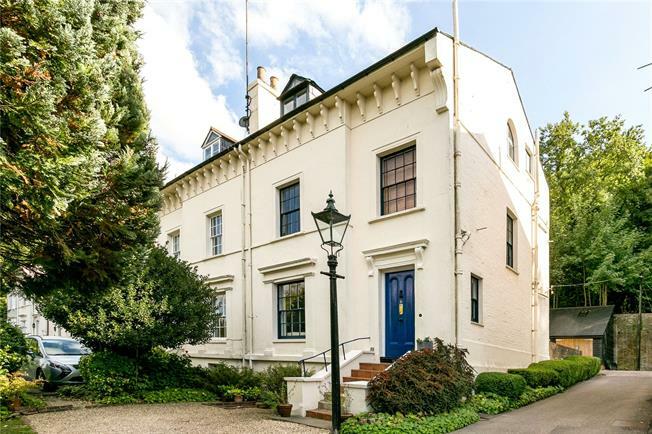 A unique opportunity to acquire this impressive grade II listed Georgian townhouse situated in this idyllic & desirable tree lined road only moments away from Hemel Hempstead train station providing a frequent service into London Euston. The property has been sympathetically renovated over recent years and benefits from flexible accommodation over four floors to include four double bedrooms, two bathrooms, two reception areas to the ground floor, kitchen and dining room with separate utility to the lower ground floor. This family home benefits from plenty of storage throughout the house and outside with the double garage and work room/office above. The pretty walled courtyard garden is accessed from the kitchen, a further garden which is laid to lawn and enclosed with mature shrubs and trees is found at the front of the property. There is ample off road parking to the front and rear. This home boasts a huge amount of charm, character and many features including high ceilings, decorative cornicing, stone floors and fireplaces, it really has to be viewed to be appreciated. From the property there are lovely countryside and woodland walks through the Boxmoor Trust land which has predominantly open access. At the junction of London Road and Felden Lane is the 17th century Boxmoor Lodge with an award winning conservatory restaurant. The village of Boxmoor with walks along the Grand Union Canal and River Bulbourne, pubs, restaurants, shops and leisure centre is less than a mile away. The neighbouring towns of Hemel Hempstead and Berkhamsted both provide comprehensive amenities and a wide range of educational facilities including the renowned public school at Berkhamsted. Junction 20 M25 is approximately 5 miles away and Junction 8 M1 is approximately 4 miles away. The mainline station of Hemel Hempstead (Euston 24 minutes) is within walking distance. Local Authority: Dacorum Borough Council. Tel: 01442 228000.